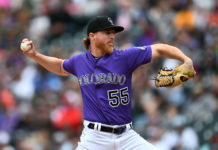 The Colorado Rockies just wrapped up a successful road trip, but Wednesday’s finale against the Pittsburgh Pirates did put a bit of a damper on things. Colorado was blown out, 10-2, allowing their highest run total of the season. They failed to get the series sweep of Pittsburgh, but finished the seven-game road trip at 5-2. Colorado went 3-1 against the Nationals and 2-1 against the Pirates. Temperatures for the first two games in Pittsburgh were in the 30s, with snow flurries flying on Tuesday. Wednesday’s day game began at just 46 degrees. 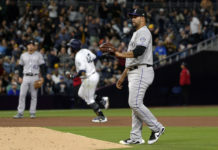 Veteran outfielder Carlos Gonzalez left the game in the fifth inning with what Black said postgame was a hamstring injury. Gonzalez made a diving catch to rob Starling Marte of a leadoff base hit in the fourth inning. “A little bit of a tweak of the lower hamstring,” Black said of Gonzalez’s injury. “Took him out for precautionary reasons. We’ll see how it sets up here in the next couple days. The Rockies are 11-9 overall and in second place in the NL West. They have played more road games than any other NL team so far this season. Colorado on Thursday has its first off day since April 1. 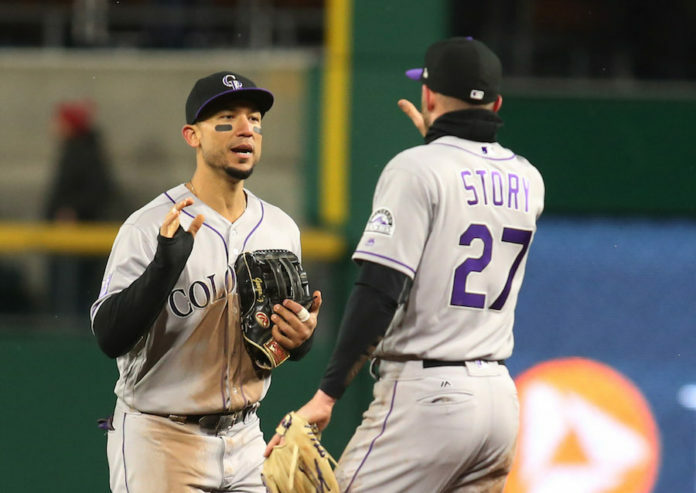 The Rockies played 17 consecutive days from April 2 through April 18, posting an overall record of 10-7 during that stretch. Colorado was 8-3 on the road and 2-4 at home over those 17 games. The Rockies return to Coors Field for a six-game homestand beginning Friday. They will host the Chicago Cubs for three games, followed by three against the San Diego Padres.